UNKNOWN TO MANY Saint Louisians is that once there was extensive and economically important mining within the city limits. Few clues to this history are visible today, but they can be found if you look carefully. 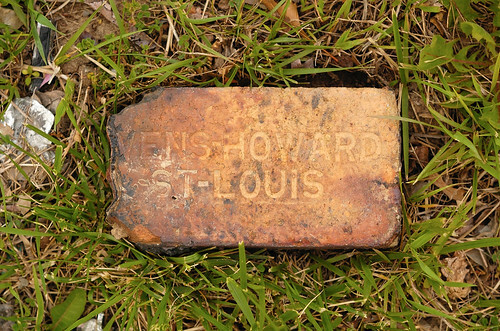 I found this brick at the southeast corner of Macklind Avenue and the River des Peres. Where was the clay for this brick found, and where was it manufactured? According to sources on Saint Louis geology, this manufacturer, and one of its underground mines, was right where I found the brick. 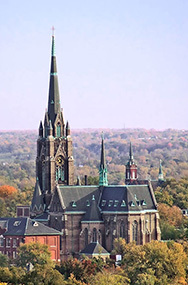 The districts of Saint Louis that surround Dogtown and The Hill sit atop a local deposit of high-quality refractory clay — clays that can withstand high temperatures. This clay, as well as minor associated deposits of coal, was dug out of underground mines in this area, and is one of the few places in the region where Pennsylvanian epoch sedimentary rock remain. Elsewhere in east-central Missouri, erosion scraped away these sediments, exposing the older Mississippian rocks on the surface. This little region overlies dozens of mines, worked from the 1850s to 1940s. Immigrant labor worked the mines, including most prominently the Irish and Italians, and over these mines the Irish built their modest, but well-maintained homes in Dogtown, and the Italians did likewise on The Hill. One problem with this area is mine subsidence, causing surface slumping in spots; foundations and streets occasionally need repair due to this undermining of the surface. The fire-clay industry bears a peculiar and interesting relation to the historical and structural geology of the St. Louis area. The clay is found only in the Pennsylvanian strata, a small patch of which has been preserved in St. Louis County because of a slight downward folding. Elsewhere in eastern Missouri these beds lay above base- level during the long period of erosion which in or before Tertiary time reduced the country to a peneplain. They were therefore planed off, but this small patch lay about 100 feet below the level to which streams could cut. The output of clay products from St. Louis was, in the year 1908, valued at $5,000,000. This is about one-thirtieth of the entire output of the United States. The products here counted comprise those of fire clays, shales, and brick clays. Inasmuch as a very large proportion of the total consisted of fire-clay products, and as these were derived in large part from a single area within the city limits, it may be seen that this area is one of the most important centers of the clay industry. Mining operations.—The clay is mined like coal from a depth generally less than 100 feet. Both shafts and slopes are used. The mines are owned either by the companies that manufacture the clay products or by independent firms and companies that sell clay to the manufacturers. The text now lists a number of clay mines operating at the time. 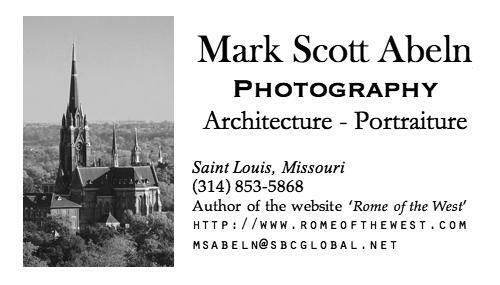 Rather, see this webpage: Historic Underground Coal and Clay Mines in the City of St. Louis. Thanks to my sister-in-law who sent me a link to this page. Following is a lengthy description of clay mining in this area. Stratigraphic position.—All the fire clay of the St. Louis quadrangle comes from a single bed known as the Cheltenham bed, for the reason that it is best known and most worked in Cheltenham, a district within the limits of St. Louis, south of Forest Park. This bed lies near the base of the Pennsylvanian. The overlying beds are enumerated in the section on page 25. The sections on pages 25-26 show typical examples of the beds which must be passed through in shafting to the fire clay. Thickness.—The thickness of the Cheltenham bed varies from 1 to 12 feet within a small fraction of a mile. In few places within the area of its occurrence does it pinch out entirely. Most of the mining is done where the thickness ranges from 3 to 8 feet; where it exceeds that amount, as at the northeast corner of the area, only about 8 feet from the best part of the seam is generally mined. Near the center of the area—in the vicinity of the Laclede mine and those within 1 mile to the south of it—the thickness averages about 7 feet, all of which is good clay and is taken out. The bed is mined at some places where its thickness is as small as 2-1/2 feet. It is commonly observed that where the bed outcrops it is increased in thickness by the weathering processes. Along River Des Peres through Cheltenham this thickening perhaps amounts to 1 foot, being from 12 to 15 per cent of the original thickness. Roof.—The variable thickness and changeable character of most of the beds above the clay are of little importance, but the character of the roof is a matter of much concern. The shaly and locally micaceous sandstone listed as No. 6 in the general section (p. 25) is the bed which in all mines supports the overburden and under which all posts must be set. Its thickness ranges from 1 to 7 feet, and it is generally sufficently strong to span all entries and rooms; but when the pillars have been mined out, it breaks off short and falls, allowing the overburden to fall in behind the line of supporting posts. The mining is planned with this in view. The roof is more apt to be too strong than too weak, and in that case it does not break short just behind the row of posts, but sinks down over a large area, squeezing the unmined clay and probably breaking the posts. Floor.—The floor of the mine is generally the light-colored pyritiferous sand mentioned on page 25 as No. 2. At some places the pyrite is oxidized and the sand is yellow. Here and there, especially where the fire-clay bed is very thick, its basal portion is sandy and abounds in pyrite, and is thus poorly distinguished from the underlying sandstone. At other places, as in the Christy and Evans & Howard No. 11 mines, this basal clay is green and very sandy, locally oxidized to yellow and brown colors. At the latter mine and at the Parker & Russell mine, west of Kingshighway boulevard, this basal clayey mass contains large red cherts, which elsewhere (in the Laclede, Christy, and Jamieson-French mines) are found only in the underlying limestone. Local interruptions.—The surface of the floor is locally affected by gentle ridges or rolls rising from a few inches to 1 or 2 feet in a width of a few yards. One such ridge in the floor of the Jamieson-French mine reaches the roof, cutting out the clay entirely. It is known as a "whaleback." Its trend is northwest and southeast. In several places the roof thickens, its surface being depressed almost or quite to the floor. Such an occurrence in the Hume mine, south of the insane asylum, affects a band some 200 feet wide trending northeast and southwest. Here, as in a similar occurrence, in a group of mines near the southeast corner of Forest Park, the lower surface of the horse is longitudinally grooved or fluted on a large scale. Grades of clay.—The clay bed is rarely of uniform quality throughout its thickness. Its usual variations are due to varying proportions of silica and carbonaceous matter and to the presence or absence of pyrite and other forms of iron. In the western part of the field pyrite, the chief impurity, is found mainly in the upper part of the bed. The lower clay is the highest in grade. It is probable, however, that in this section several feet remaining as floor should be correlated with the basal portion of the bed in Cheltenham. In that district it is common to regard the middle part of the seam as the best, the top being liable to contain carbonaceous matter and the basal portion being siliceous. In the southern part of the field it is customary to consider the clay in two portions, the upper being the higher in grade and the lower being lighter colored and more siliceous. Uses.—The choicest of the clay is sold for glasshouse use. At several of the mines the clay is assorted, that which is freest from impurities being sold in the raw condition for glass pots. Good clay which contains a small amount of impurity is washed and then sold for the same purpose. For fire brick it is not necessary that the clay be so pure. Much of the fire clay mined in Cheltenham is used without assorting, for ornamental and facing bricks, or is mixed with various other clays to make sewer pipe. Distribution.—The area from which fire clay is derived has its center in a section of the city known as Cheltenham, lying south of Forest Park. It extends some 4 miles to the southeast in a belt about 2 miles wide; also westward to a line running south from Clayton. An examination of the geologic map (Pl. I) will show that this area is an extension or peninsula of the Pennsylvanian rocks. The principal geologic condition accountable for the presence of the fire clay within the area named is a faint syncline (see Pl. 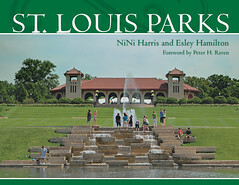 VI, B) whose axis, trending north-northwest, passes not far from the southeast corner of Forest Park. North and east of this point there are no mines. Still smaller folds are probably accountable for certain small variations from the general structure here described, but such folds are too small to be reduced to system with any data now obtainable. The lowest level from which the clay is mined is 404 feet above the sea, at a point within the bend of River Des Peres, near the southeast corner of Forest Park. From this point the elevation of the bed increases both to the west and to the south. The highest known level of the clay is 494 feet, in the Van Cleave mine, about a mile northwest of the insane asylum, near the intersection of Old Manchester and Watson roads. West of that point the strata are affected by a gentle anticline over which River Des Peres flows toward the southwest, the combined effects of the folding and erosion being that the clay is absent from this area. Similar conditions on the east and south of the productive area have caused the complete erosion of the clay-bearing rocks. The productive area south of Clayton lies beyond the low anticline above mentioned from which the Pennsylvanian rocks have been stripped. The northerly pitch of these exceedingly gentle folds has caused them to disappear just south of Forest Park, thus leaving the Cheltenham district connected by continuous Pennsylvanian strata and probably by a continuous bed of fire clay with the district south of Clayton winch contains the Jamieson-French mine. At Castello, about 9 miles northwest of Cheltenham and 3 miles east of Creve Coeur Lake, the St. Louis Vitrified and Fire Brick Company operates a mine and factory. That the horizon of the clay here mined is the same as that of the Cheltenham fire clay is practically certain from its relations. The base of the fire-clay bed at this point is nearly 90 feet below the upland level; the dip is very slight and the base of the Pennsylvanian comes to the surface half a mile west of this mine at an altitude about 50 feet higher than that of the clay at this point. It is therefore highly probable that the base of the Pennsylvanian is not much if any below the clay at this place. As elsewhere, the floor here consists of sandstone with ferruginous nodules. Moreover, at the St. Louis Clay Burning Company's plant, half a mile to the southeast, limestone is reported beneath this sandstone, as in the Cheltenham district. The thickness of the bed at Castello is 12 to 15 feet, 12 feet of good clay being mined. Above the clay lies 55 feet of soft shale, mostly of a red color. Essentially the same section was noted in drilling at the St. Louis Clay Burning Company's plant, half a mile to the southeast. There is also a fire-clay mine at Malcolm station, southeast of Creve Coeur Lake, where the section is the same, including the 18-inch coal bed. Fire clay has long been known north of Baden, a northern suburb of St. Louis. At the shale quarry of the St. Louis Portland Cement Company the massive shale which is mined is underlain by 2 to 3 feet of black shale and this by 1-1/2 feet of coal, beneath which is the fire clay, said to be 25 feet thick. It is highly probable that the fire clay at this place occupies a sink hole which was formed during the mid-Carboniferous land epoch. In view of the wide separation of the points at which the Cheltenham fire-clay bed is mined, it is quite probable that it may be found at many places where no prospecting has yet been done. On the Missouri side of the river the same gentle downward folding which has resulted in the preservation of the Cheltenham fire clay from erosion has preserved one or two thin beds of coal. One of these, which is very local in extent and has a maximum thickness, in this part of the field, of perhaps 1½ feet, lies immediately above the fire clay. Another, equally local and having a maximum thickness of 4 feet, lies about 50 feet higher. Both of these were mined in the early history of St. Louis, and although their content was such as would now be considered insignificant, their influence on the early development of the city's industries was great. They are not mined at the present time, except incidentally in the mining of the clay. interesting! Thanks Mark. Speaking of pollution I recently saw a picture of the placing of the final section of the Arch at the PD website. What struck me the most was the dark dirty sky in the background. While not scrubbed clean the skyline of the city seems much cleaner today! When I was a kid I recall the white dusty smoke that I think billowed from the Monsanto plant?